Remote Pilot Certificate with a small UAS rating now required. New FAA requirement to fly drones for business. Need to pass the Knowledge test to get your FAA drone pilot license . On August 29, 2016 the FAA released its new regulations for the operation of small unmanned aircraft systems (UAS) which are drones that weigh less than 55 lbs. This final Part 107 of Title 14 Code of Federal Regulations (14 CFR) addresses airspace restrictions, visual observer requirements and safety rules for the operation of small UAS for commercial purposes in the National Airspace System. These rules do not apply to recreational or hobby drone use. To view a summary of Part 107, click through here. Under these new regulations, operators of small UAS will now be called “remote pilots” and a new “remote pilot certificate with a small UAS rating” will be required by the FAA. Of course people will also use the term “drone pilot” as well. Anyone flying or operating a small UAS will be required to have this certificate or be directly supervised by someone who does (remote pilot in command). Pass the FAA Remote Pilot Knowledge Test to demonstrate that you understand certain key requirements under Title 14 of the Code of Federal Regulations (14 CFR) part 107.This knowledge test will be 60 multiple choice questions covering UAS topics of regulations, airspace & requirements, weather, loading and performance and operations. There will be one correct answer allowed for each question.The cost of the test is $150 and you will need a 70% grade to pass. You must also be at least 16 years old to take the test, have a picture ID with your birth date, signature and address (not a P.O. box) and be able to read, write and speak English.If you fail the test, you must wait 14 days before you can take it again. The Federal Aviation Administration (FAA) has published a Study Guide to help prepare you to take the Remote Pilot Certificate with an sUAS Rating Airman Knowledge Test. To download your free copy of the Study Guide, click here. After passing the Part 107 knowledge test, complete FAA Form 8710-13 (FAA Airman Certificate and/or Rating Application) online using the FAA IACRA system. A TSA security background check will be performed on all applicants and you will receive a confirmation email when it is completed. This email will give you instructions on how to print out your temporary remote pilot certificate. Your permanent Remote Pilot Certificate will be sent to you by mail.This is a link to a free course from the FAA that can be used as a study resource to learn about 14 CFR part 107. This free course can be used by people without a part 61 pilot certificate or current flight review as a self-study resource. If you have a Part 61 pilot certificate (not a student pilot certificate) and you have completed a flight review in the last 2 years, then you are required to complete Part 107 small Unmanned Aircraft Systems (sUAS) ALC-451 online which satisfies the training requirement before applying for your Remote Pilot Certificate. After passing the above, complete FAA Form 8710-13, Remote Pilot Certificate (FAA Airman Certificate and/or Rating Application for a remote pilot certificate) either online using the FAA IACRA system or if you prefer a paper copy, you can get instructions for that here. Bring the completed Form 8710-13, completion certificate for the online course and proof of a flight review within the last 24 months to an FAA designated pilot examiner (DPE), a FSDO, an airman certification representative (ACR) or an FAA certified flight instructor who will then validate your identity and sign the application. A temporary airman certificate can be issued to you by a FSDO, a designated pilot examiner or an airman certification representative but not by a certified flight instructor. Your permanent Remote Pilot Certificate will be sent to you by mail. UAV Schools in the U.S.
For those interested in getting a UAV degree or a training course in Unmanned Aircraft Systems, which could help to make you more marketable in this industry, we are currently putting together a list of these educational facilities and universities by state. As of right now, there is no requirement for practical training in order to obtain your Remote Pilot Certificate. 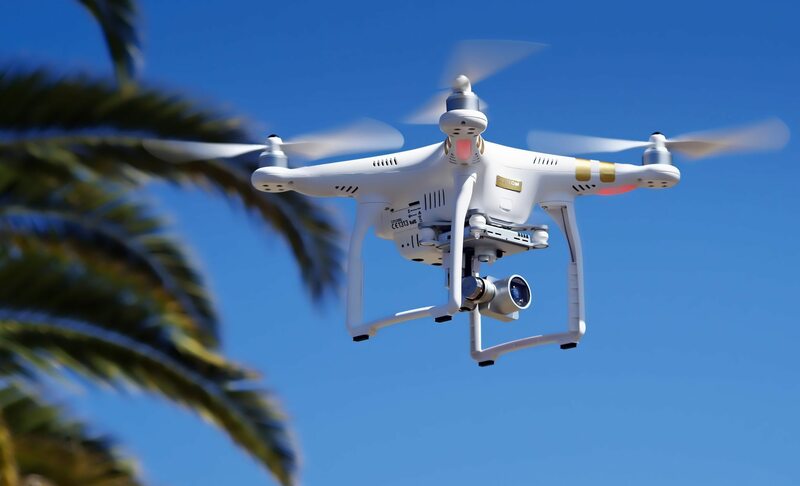 As you may know, some insurance providers already require operators to undertake some type of formal drone pilot training and you can expect this training to become mandatory in the near future. To help save you time in finding a UAV training course near you, look at our USA drone schools page. We are constantly adding and updating information, so check back soon if you don’t find what you are looking for in your state. There are also many online courses listed there as well.